I have been researching walks around Le Rouret and discovered there is a Bois Communal (a local forest) in the hills above the village. 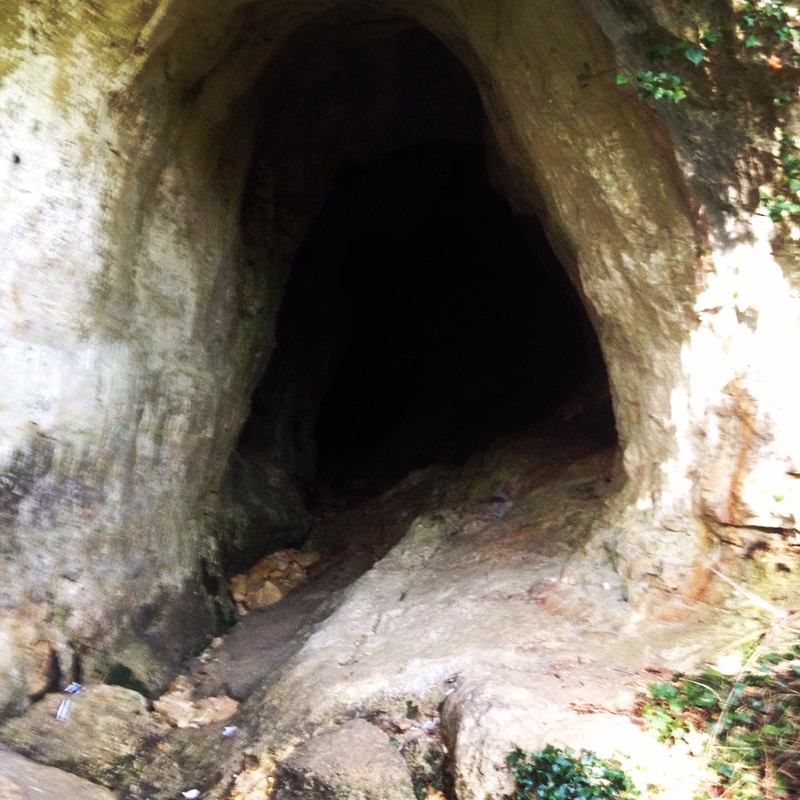 It was proving elusive until I found a walking path to the Camp Roman and the Baume Robert, a cave formerly known as the Grotto of Le Rouret. Agnes and I set off. After a few dead ends we found the mouth of the cave and started slowly walking in. We had a small light from my phone but it was very dark and as we went deeper, it was darker and colder. We wanted to keep going but we weren’t brave enough! Apparently there is a grotto inside, an underground river and stalacmites. I’ve seen photos so when we feel a little braver, we’re going back.